Alphabet Letter I printable kindergarten worksheet. I for Island. 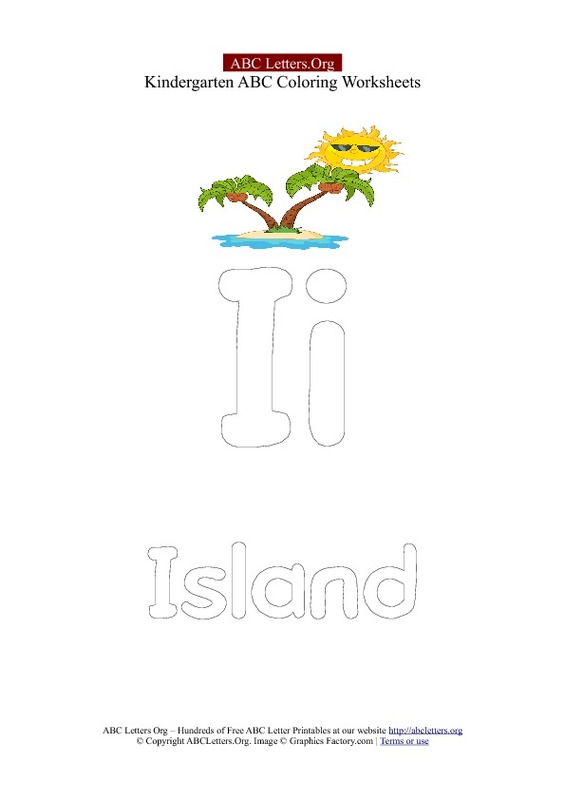 Color the Letter I.
Uppercase and Lowercase Letter I with a colorful picture of an Island with the sun and palm trees. Learn the Letter I with this free printable letter recognition worksheet for kids. Letter I in uppercase and lowecase to color.